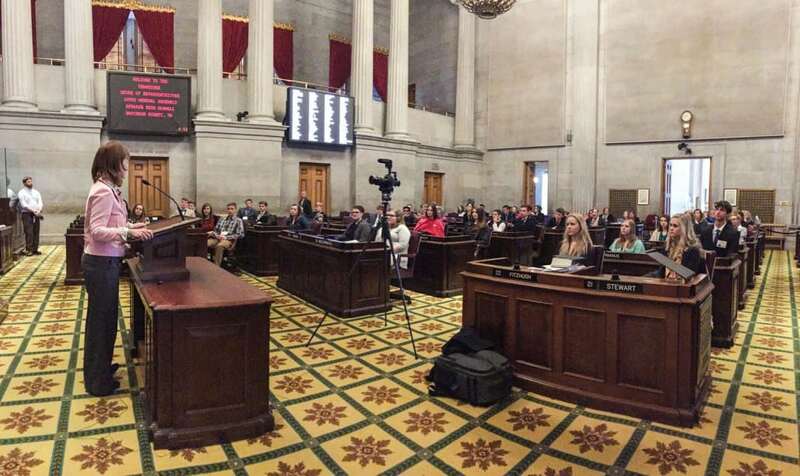 Speaker Beth Harwell today greeted students from across Tennessee attending the Tennessee Electric Cooperative Association’s annual Youth Leadership Summit in Nashville. 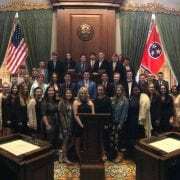 Harwell welcomed the young leaders to the House Chamber of the Tennessee State Capitol this morning and spent time explaining her role as speaker of the House and the process that is required to pass legislation. Senators Mike Bell, Richard Briggs and Ferrell Haile and Representatives Kent Calfee, Kevin Dunlap, Dan Howell, Jay Reedy and David Shepard joined Harwell and Dunlap for a town hall meeting with students in the House Chamber.